Two people were taken into custody for their connection in the death of a Birdseye man nearly a year ago. Around 2 pm of July 19th of last year, deputies with the Dubois County Sheriff’s Department responded to the report of a deceased male at a home located along Harts gravel road in Birdseye. It was there authorities found 49-year-old Darin Atkins deceased. An autopsy was conducted the next morning and the results showed the cause of death as multiple blunt force trauma injuries to the head. The death was then considered a homicide. Authorities say Atkins had been dead for some time before the incident was reported by Atkins girlfriend. They also say at least 10 people had been to the residences during that time before police were notified. Detective Sergeant Tom Klienhelter stated that this complicated the investigation timeline greatly. He also states that they received over 100 tips and have utilized surveillance footage, GPS locations, and cell phone records in this investigation. 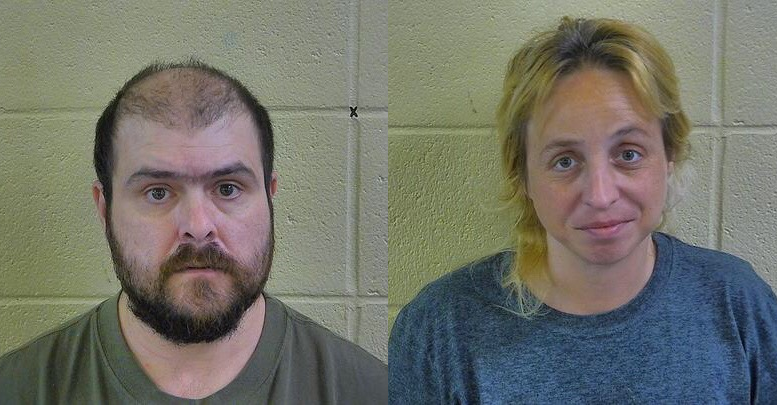 This morning (Monday) June 12th, deputies arrested 40-year-old Jason Atkins of Birdseye and 41-year-old Sarah Andry of Eckerty in connection with the murder of Darin Atkins. According to a court affidavit, is was widely known that a love triangle existed between the three for at least 3 years, with Andry going back and forth between both men. Multiple interviews were held with each suspect. The statements made continually conflicted with each other’s recounts of the incident, and each individuals past interviews. It was also noted in the affidavit that on more than one instance, Jason Atkins replied no to a question while nodding his head yes. Atkins has been charged with one count of murder and a level 3 felony count of aggravated battery. Andry has been charged with one count of aiding in murder and a level 3 felony count of aggravated battery. A press conference was held this morning, June 12th, at the Dubois County Annex Building. Those on hand included Dubois County Prosecutor Anthony Quinn, Deputy Prosecutor Beth Sermersheim, Rick Chambers, investigator with the prosecutor’s office, Detective Brock Werne with the Indiana State Police Jasper post and Detective Sergeant Tom Kleinhelter with the Dubois County Sheriff’s Department who has been leading the investigation. Kleinhelter read from a statement and would not field questions from the media. He says the investigation leading to the arrest of Atkins and Andry consisted of many different venues and many different leads that Kleinhelter says were looked at and followed up on…. Kleinhelter says the investigation remains open and that more interviews will be conducted. Both Andry and Atkins are being held at the Dubois County Security Center. Be the first to comment on "Update On The Two Suspects Arrested Connected To Death of Darin Atkins"